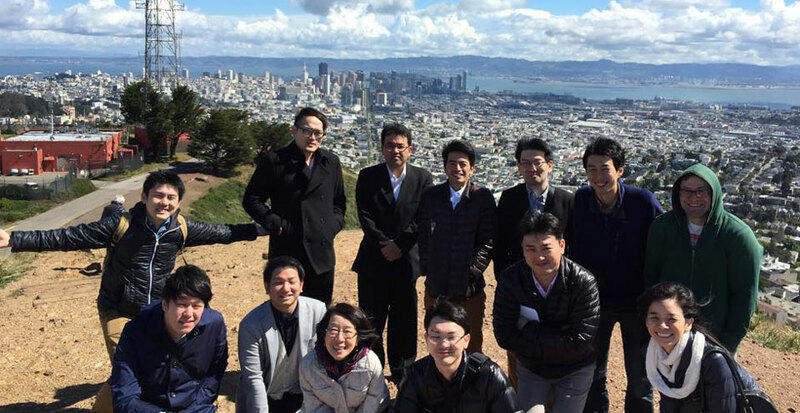 From April 5-15, 2015, ten Japanese young professionals visited three cities in the United States on the TOMODACHI U.S.-Japan Clean Energy Local Partnership Program: Sacramento, San Francisco, and Denver. This program was developed to further the objectives of the Tohoku Green Communities Alliance established by President Obama and Prime Minister Noda in 2012. Through the program the participants visited smart communities, toured energy efficient buildings, and learned about leading-edge renewable and smart energy systems in the United States. 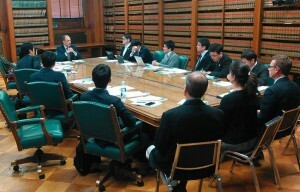 On April 17 after returning to Japan, the participants presented their experiences on the program, their inspirations and lessons learned concerning U.S. clean energy technology and policy, and shared future plans and next steps on how they intended to apply these to their communities across Japan. One highlight of their visit was the Sacramento Municipal Utility District (SUMD), which has been a leader in solar power for more than 25 years. 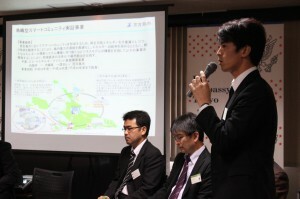 Participants learned about production of solar and wind power as well as its smart grid activities. They were astonished to hear that it was created by residents through voting as early as 1923. Another highlight was a visit to the Colorado Cleantech Industries Association (CCIA), the only industry-led and industry-focused cleantech group in the states. Not only did participants learn about the technology and systems in place, but they were also able to acquire new perspectives of cross-sectorial relationships and see how residents played a significant role. Many participants touched upon the differences between the U.S. and Japan in terms of environmentalism consciousness, and spoke about how to increase this awareness in Japan. When Japanese participants asked U.S. government representatives what their method or policy to increase citizens’ awareness toward environmental activities was, they received an unexpected answer: they were not doing anything special to raise environmental awareness. Instead, U.S. policy emphasized economic benefits to improve the daily lives of citizens when they become more environmentally-friendly. This approach ultimately led people to take part in eco-friendly activities as part of their daily routine. Executive Director for NPO Spatto Naruko Hot Springs Natural Energy Mr. Masahiro Sasaki said, “I became a huge fan of America!” He talked about how he “noticed how the local government would set a goal, create a marketplace and a framework, and the people would follow in line to work together towards that goal.” By taking part in this program, he grew fond of the American system and its people. The program was just the beginning for countless collaborations across regions and nations in the field of clean and/or renewable energy. It was a successful end to the program as it was clear to everyone that these locally and internationally formed relationships will continue to grow and expand.